We’ve just spent nearly a year investigating the holy grail of body contouring, seeking a way other than CoolSculpting to fix pockets of fat on areas like under the chin, arms, thighs, bellies, bra fat and anywhere else unresolved fat lies. Follow our journey to an amazing new machine that we are excited to teach you about! 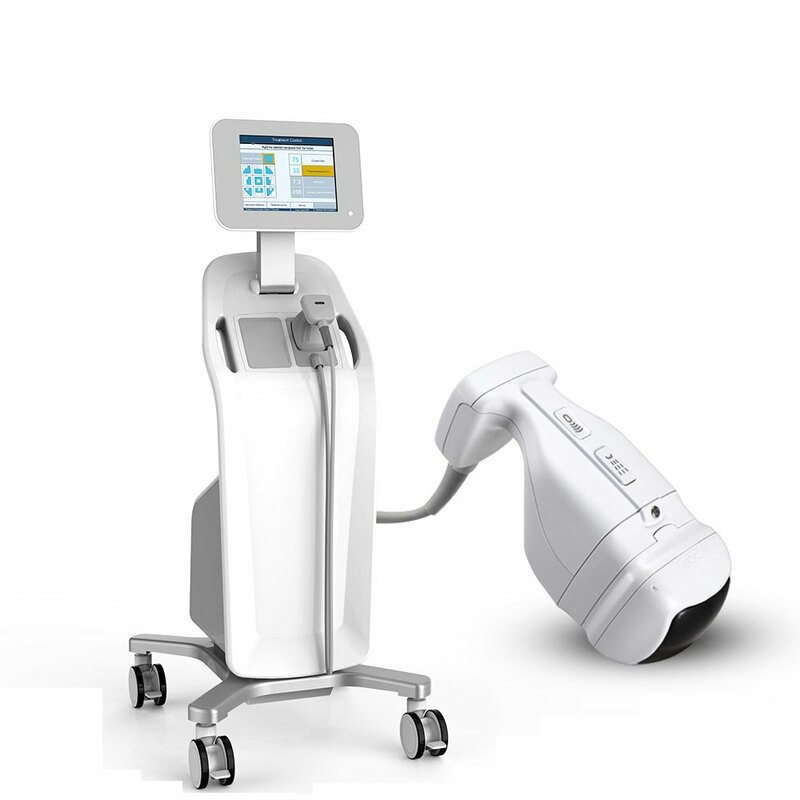 Body contouring technology has begun to take the world by storm, with Allergan’s CoolSculpting leading the pack. While there’s no doubt to me that CoolSculpting works, it has several disadvantages. It’s expensive. Despite claiming to be a one time treatment most folks end up doing multiple areas and even multiple times on the same area… at $3000 per treatment you could get actual liposuction for less. It is uncomfortable during and after the treatment. And finally, while it does permanently destroy fat, it generally leaves a sag of loose skin behind in it’s wake, which means you have to do other services to finish your result. 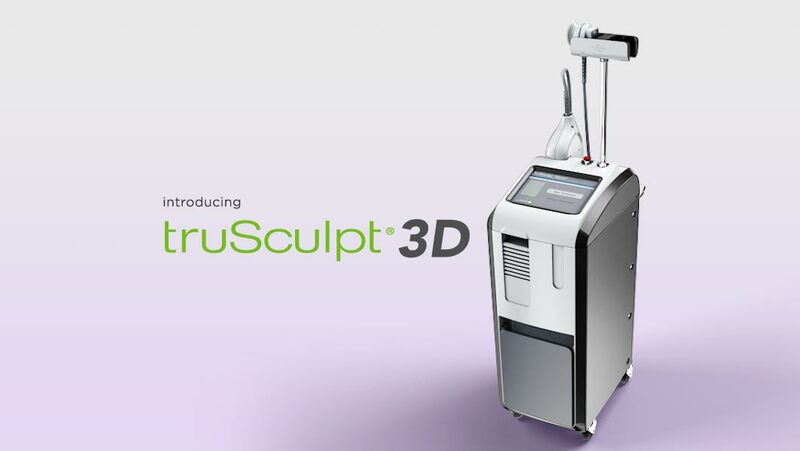 We tested the Cutera TrueSculpt 3D, a powerful mono-polar device claiming a single treatment solution with a $3000 per treatment price tag. It was a very comfortable treatment to have done, but it takes a solid 12 weeks to see results. In our case we tried it on 5 people. Unfortunately, only one of us saw a result that was worthy of the $3000 and while one of us did have a truly good result in the single treatment, the others did not. After we followed up with our rep he said that perhaps it would take more than one for many people to get the best result. In our opinion here, that’s way too expensive to pay for that type of result. We must say from a science perspective that we do believe this machine works…it’s simply a question of cost. 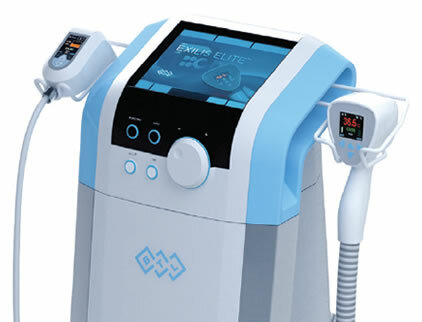 We moved on to the BTL Exilis. Another powerful mono-polar device using cold therapy combined with heat to drive the effects of permanent fat removal deep into the tissue. The price tag on this machine was quite reasonable with a per-treatment cost running around $500, although they emphasized the necessity of multiple treatments to achieve the best result. 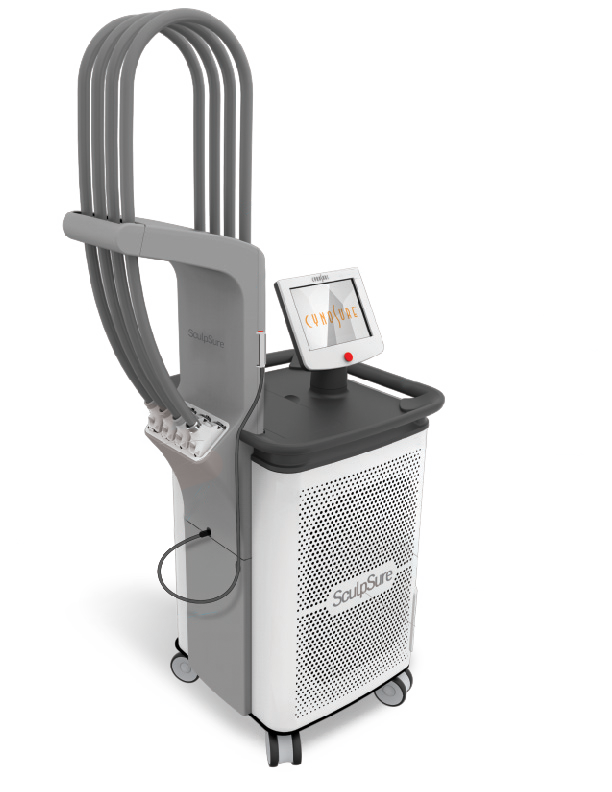 The skin tightening mechanism of this machine was excellent; a client would walk out the door satisfied by the instant lift created by this device. But when we tried the permanent fat removal portion, we found it quite uncomfortable, and we saw a high risk of tiny (not permanent) little burn marks under the skin. None of us were excited about that problem. Additionally, after doing some significant homework, I found that they only had clinical fat results on treatments done on pigs, but not humans. That didn’t give us much reassurance about how well it worked. So let us walk through each portion of how the Contoura does these! The problem with these devices is that getting and holding that sustained temperature can either be so hot and so uncomfortable OR have inconsistent heating because your technician is constantly stopping to check the temperature. Also, treating an area too large for too short a time can be highly ineffective. The Contoura has some amazing elements that help all of these issues. The skin tightening side of the device is a bi-polar RF but what makes this machine improve results (and quite frankly hold them longer) is a high quality thermometer which helps your technician work uninterrupted on your skin. It uses a sound to let the technician know they’ve achieved temperature and help them to keep it more consistently for the appropriate amount of time. The skin tightening results also hold longer than most with a typical maintenance treatment every 4-6 months. We also found it to be extremely comfortable to get to the correct temperature quickly and stay there. Their technique has you work in smaller areas to also increase efficacy. This technology is nearly identical to technology used to target and kill small pockets of cancer cells in patients with certain types of cancer. It is extremely effective, and while you can feel it, it is quite comfortable. Additionally, by adding it, most folks get as much as 40% more total results with their treatment. We believe that it’s this technology which sets the Contoura above other devices because of it’s lack of sole reliance on RF heating to kill the cell. When we tested this in our office, you could rapidly see an effect (it was subtle but there) of this added technology when compared with the other machines we tested. The most impressive part of each of these (and other) studies is the extremely high success rate of each grouping of patients. NEARLY EVERY PATIENT HAD A MEASURABLE RESULT, which is completely uncommon with this or any type of non-surgical treatment. The consistent heat and collagen forming abilities of the InMode Contoura also have another positive side effect… reduced cellulite! The smoothing that comes along with this device is extremely satisfying to those with these issues. It’s the suction portion of the machine that gently breaks up cellulite while simultaneously killing fat and tightening the skin. While purchasing the device wasn’t cheap for the spa, the upside to this machine was the lack of a disposable. CoolSculpting, Liposonix, TruSculpt3D and even the Exilis all had some form of something that had to be continuously purchased to use the device. This disposable cost significantly increases the price to you, the client! (I recently read an article that Allergan is making more money off the CoolSculpting disposables than the sale of the devices themselves! Wow!) By providing a technology that works without the need for a disposable, InMode has helped to make this machine less expensive. Many competitors claim a single-treatment protocol (CoolSculpting, TruSculpt3D and others) but we found most of the time that it requires more than that to achieve results. So the big price tag drives folks away. 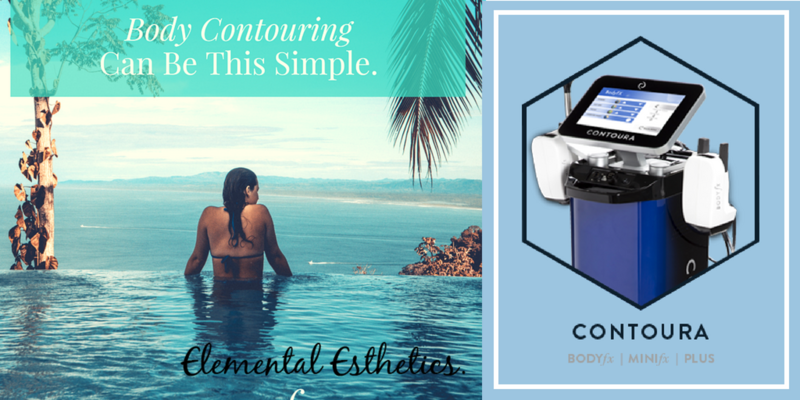 The Contoura definitely requires multiple treatments (4-8 on average) but is 1/4-1/6 of the cost of CoolSculpting and adds the benefit of tightening the skin at the same time! 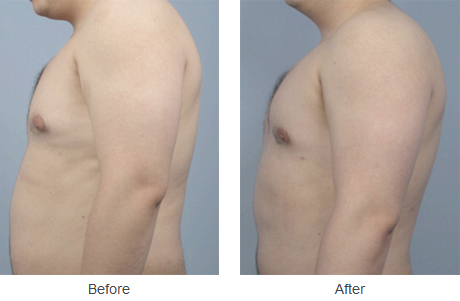 Unlike the horrendous Liposonix, the Contoura is very much a comfortable treatment. There is heat and the little zap of the high-voltage pulse but across the board the sensation is well worth the result. Potential downtime from the device only includes being pink the day of the treatment and a slight possibility of some minor bruising. So after our year long journey to permanent fat removal and skin tightening and cellulite removal, we’re excited to roll out this amazing new device to the public. Let us all feel more comfortable in our skins and our bodies! !